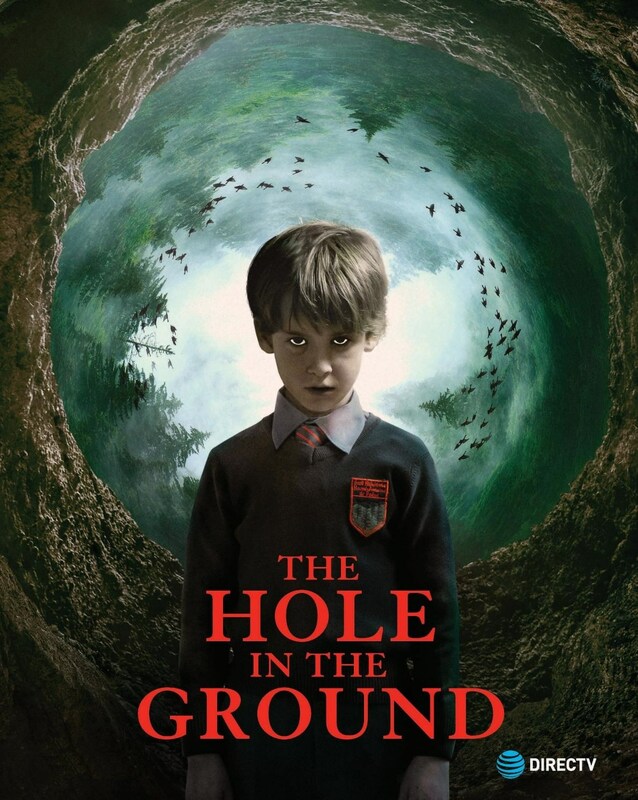 John’s Horror Corner: Hole in the Ground (2019), an Irish horror about a sinkhole, a cute and creepy kid, and a Doppelganger dilemma. MY CALL: A familiar premise presented through a fresh lens with inspired filmmaking and featuring a few unexpected turns. Very pleasantly surprised and highly recommend it! MOVIES LIKE Hole in the Ground: For more Irish horror movies check out Leprechaun Origins (2014), Leprechaun 2 (1994), Leprechaun (1993), Rawhead Rex (1986), Grabbers (2012), Cherry Tree (2015), Holidays (2016; St. Patrick’s Day segment) and The Hallow (2015). For more imposter/Doppelganger horror consider Invasion of the Body Snatchers (1978), The Astronaut’s Wife (1999), Pet Sematary (1989), A Christmas Horror Story (2015), Impostor (2001), Godsend (2004), The Thing (1982), Honeymoon (2014), The Ring 2 (2005). 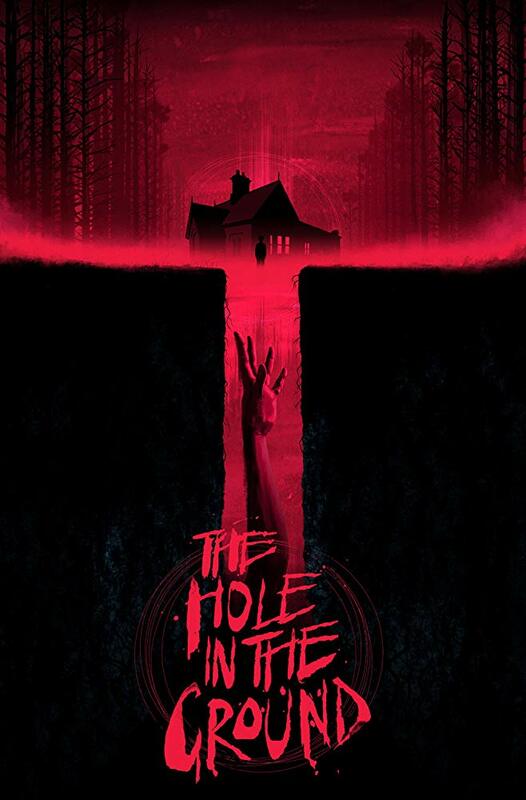 Losing track of her son in the woods behind their new home, Sarah (Seána Kerslake) stumbles across a startlingly massive chasm before locating her Chris (James Quinn Markey; Vikings). 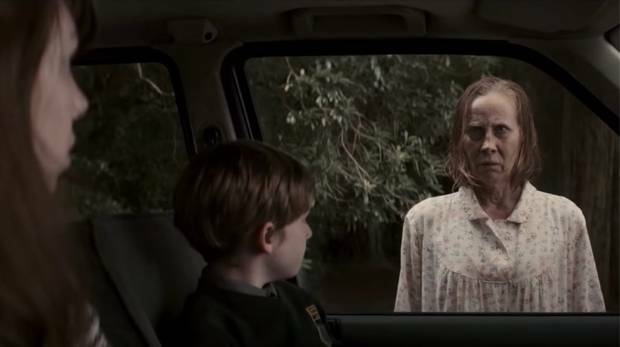 Lee Cronin’s first feature film opens with some effective, even gorgeous shots of the Irish woods. More drably lit and lacking the crisp palette of The Hallow (2015), the photography remains striking nonetheless. Shots of the gaping sinkhole and the primeval forest are harrowing and I half expected the monster from The Ritual (2017) to emerge and steal them both away. After his brief but alarming disappearance, Sarah suffers from significant anxiety and Chris, well… Chris is behaving a bit oddly. Of course, Sarah begins to take notice of his strange behavior, and things escalate. Sarah watches Chris with suspicion, tests him in her own subtle ways, and understandably questions her own actions as well. The rabbit hole winds deeply from here as we learn of Sarah’s own recent hardships (that are never fully explored). Playing a boldly-troped elderly and unnerving harbinger, Noreen Brady (Kati Outinen) is stolid, disturbing, and violently assertive that Chris IS NOT HER SON! Her mild-mannered husband Des (James Cosmo; Highlander, Malevolent) supplements her dosage of exposition later in the film and the two play well into the story—more than I can say for most harbinger or exposition-based characters. Acting and writing is where the least kindness typically befalls films in my reviews. And I had never heard of this first-time feature filmmaker nor either of his stars. Yet, I couldn’t have been more pleased with the general writing, staging of events, cultivation of tension, and the actors’ performances. James Quinn Markey commands our attention—he feels like an Irish incarnation of Haley Joel Osmont (Tusk) from The Sixth Sense (1999). And all of the exquisite shots and imagery and presentation style reminded me strongly of The Ring (2002) while the tension was occasionally lacerated by shocking imagery of violent bone breaks, mangled dead bodies and nightmares keeping us on edge. For my taste, the final 20 minutes serve us a resolution that doesn’t quite do justice to the wonderful 60-70 minutes before them. I wouldn’t say it was “phoned in” or anything like that, but the writing and execution quality dropped notably (from consistently excellent) in the final act. But that’s not to say the ending was “bad” or the film wasn’t satisfying. Quite to the contrary, I very much enjoyed this film and even fancied the ending. This is a familiar concept presented through a fresh lens, with inspired filmmaking, and featuring a few unexpected turns. I was more than a bit pleasantly surprised and highly recommend it! Thanks for the review. I’ve never heard of this one but will have to track it down. I saw a trailer for it on Facebook and immediately added it to my Amazon queue only to notice Amazon was also “suggesting” it to me. These little “suggestion” and “consumer behavior” bots are starting to finally pay off–otherwise, I might not have heard of this either. Just found it on Amazon. Pretty expensive rental at the moment so I’ll wait and see if it is released on prime after the new wears off. Yeah it’s pricey. I paid it so I could have a good Irish horror film on St Patty’s day and I’m all Leprechauned out.